Almost everyone wonders at one time or another what may have happened if they had taken a different direction in life. What if you had applied for that dream job or pursued a different major in college? What may have happened if you’d had the courage to talk to that gorgeous stranger waiting for the train? According to some theories, you did take all of those alternate routes – or at least parallel copies of you did. The theory of parallel universes suggests that infinite copies of each of us exist in infinite worlds. 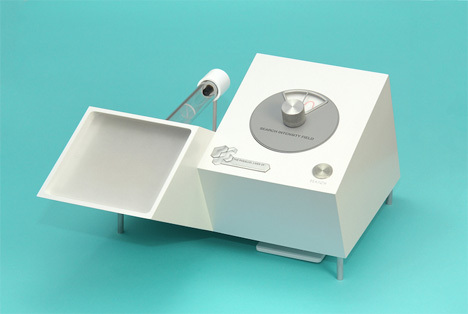 The strange device above was designed by Patrick Stevenson-Keating to give users a glimpse into what their other lives could have been like. 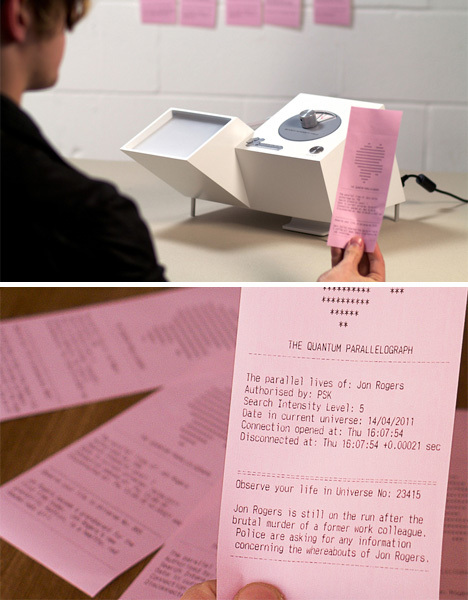 The Quantum Parallelograph uses online sources to cull information about your parallel selves, then prints off a short blurb about the lives of the other yous. The creator of the device warns that if you dare to look into the multiverse to see yourself, you may not be pleased with what you find. It begs the question: if you found out that a parallel version of you was leading a happier, more successful, more fulfilled life, would you be pleased? Or would you be jealous? The device itself is just a novelty, but it does raise some very good questions about our fundamental understanding of our world. The concept of parallel universes is much more widely explored among the scientific community than one might expect, lending some legitimacy to this seemingly kooky idea. However, as far as we know there is still no way to gaze across the multiverse and see other versions of ourselves in their own lives, so for now we have to be content with novelties like this one that open our imaginations. See more in Quantum Leaps or under Science. May, 2011.